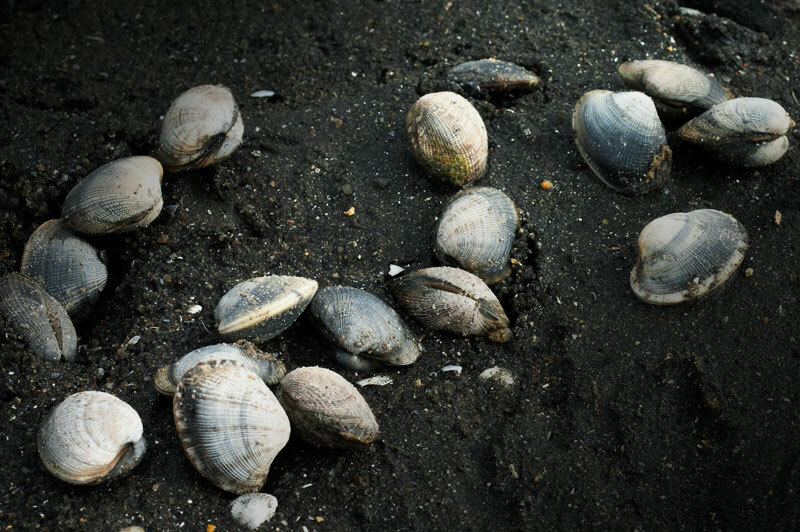 The shellfish in Galicia is female. 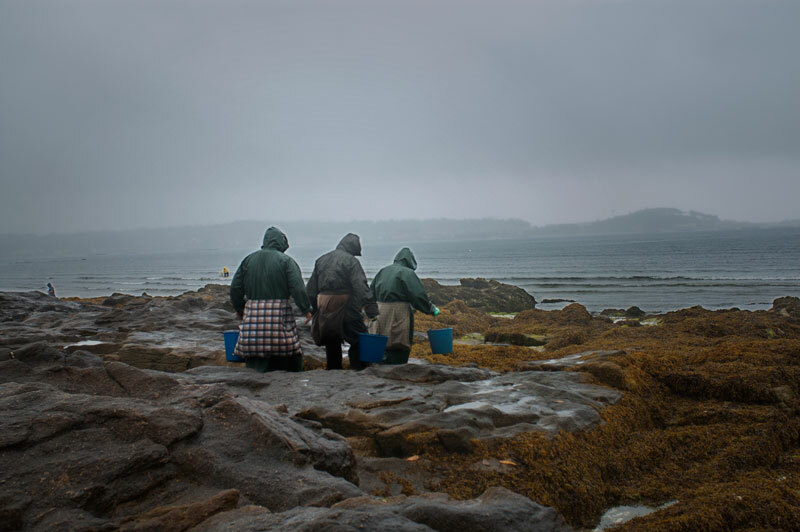 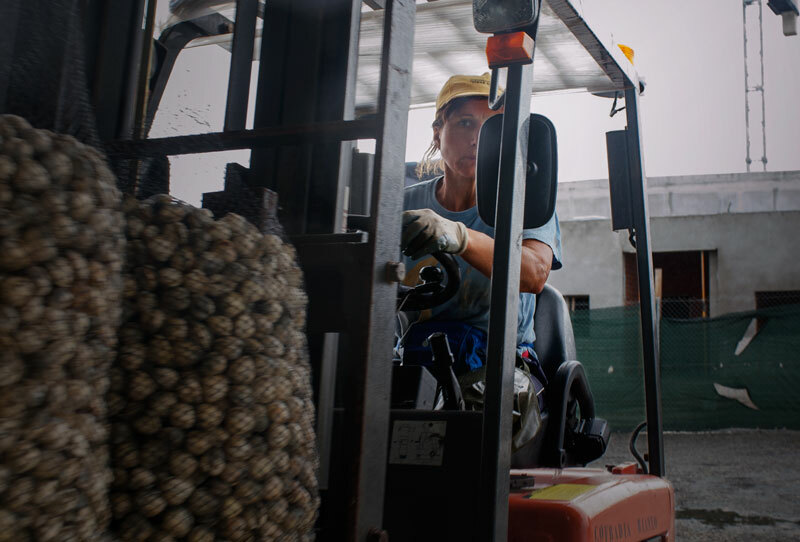 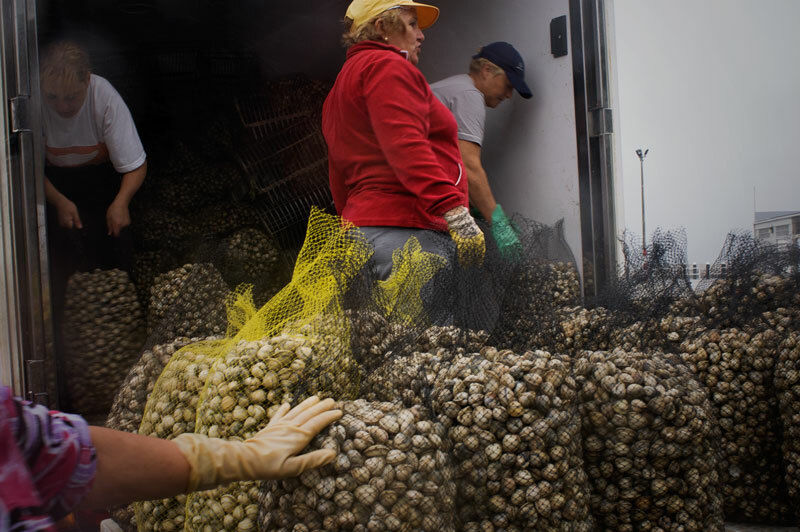 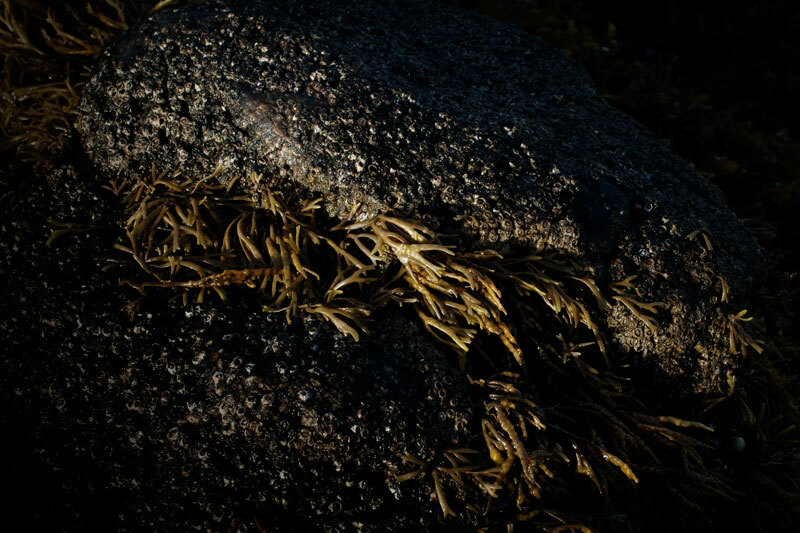 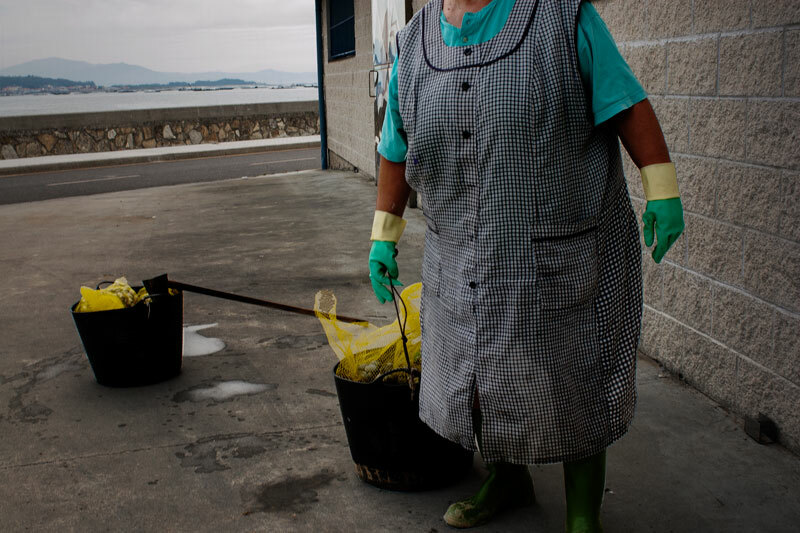 The extraction of the thousands of tons of molluscs, provided each year by the Galician coasts, are carried out almost exclusively by women. 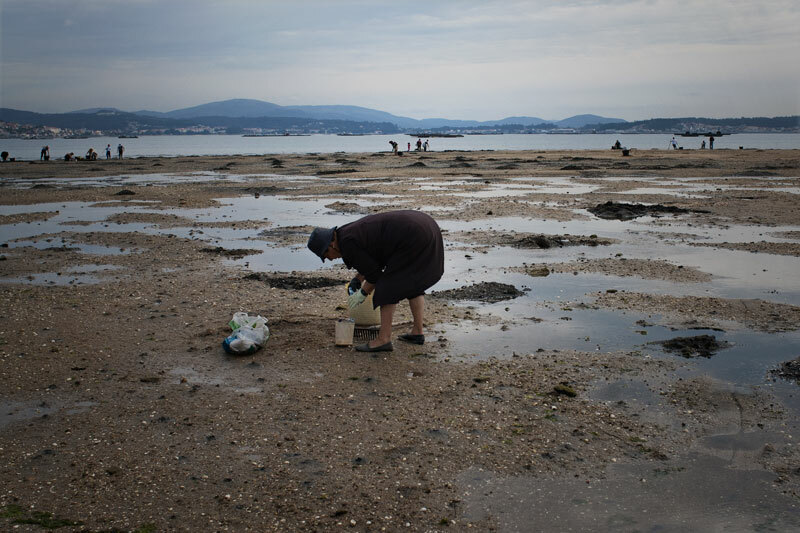 Good or bad weather, the Galician women with their rakes, gloves and baskets, go in the coasts of the estuaries and sink their hands in the sand in searching of the salty treasure. 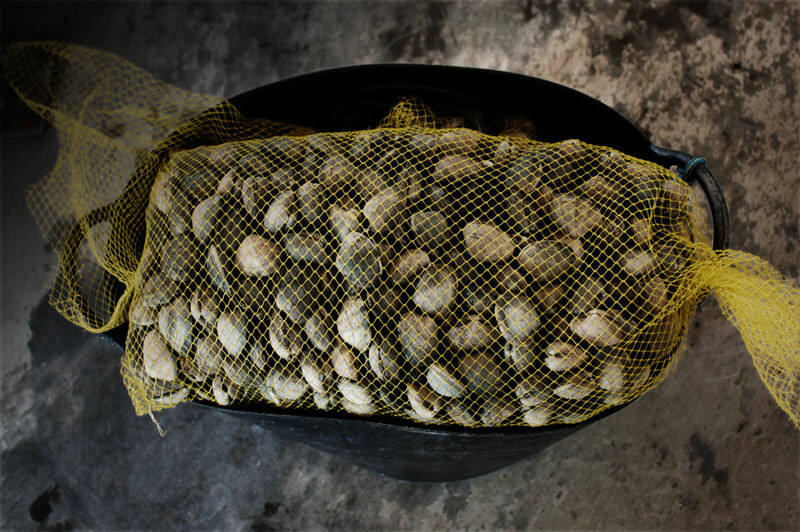 In the market, the product is prepared for commercialization that reaches profits of billions of euros per year.